The Wichi people of Argentina are under constant threat of land takeover, thus instituting cultural upheaval. 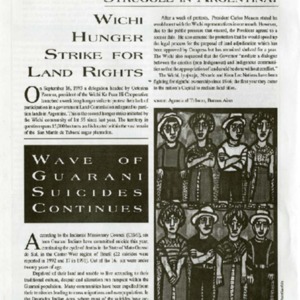 This article depicts the organizing of the Wichi, in their attempt to secure their land and culture. 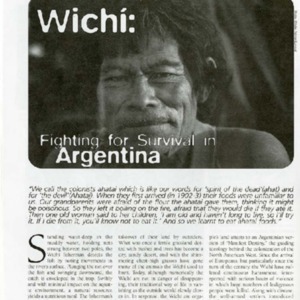 On September 16, 1993, the Wichi Ka Puce Hi Cooperative of Argentina initiated a week long hunger strike in protest of the government's Land Commission until President Carlos Menem agreed to meet.